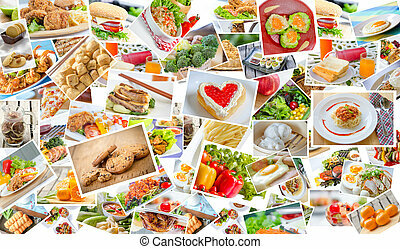 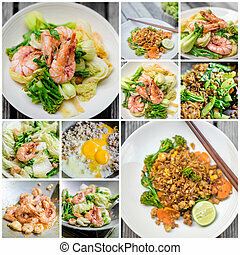 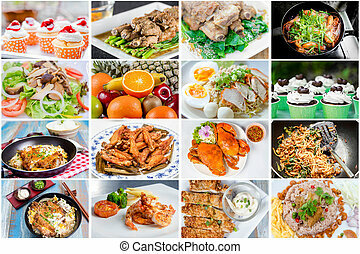 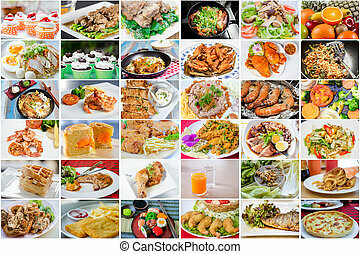 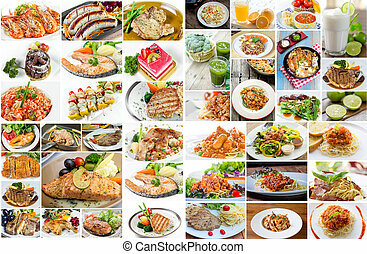 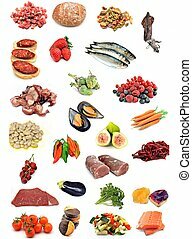 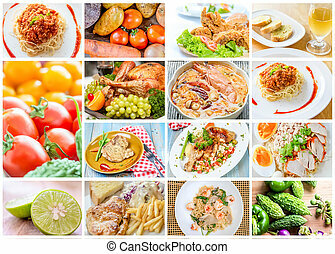 Nutrition collage of healthy food. 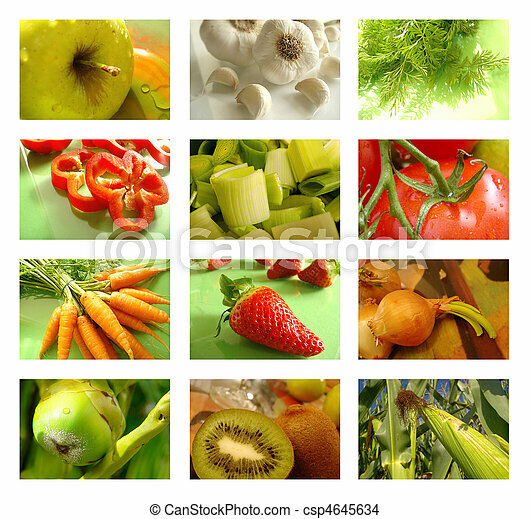 Collection of fruit and vegetables. 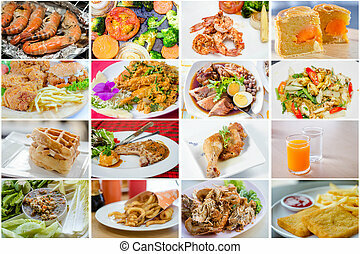 each photo is 600px x 400px (72 dpi). 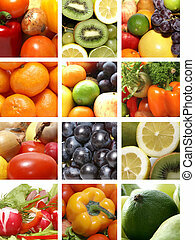 Collection of fruit and vegetables. 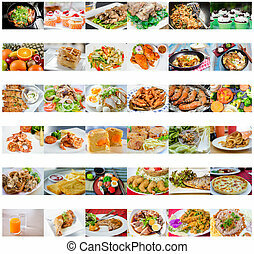 Each photo is 600px x 400px (72 dpi). 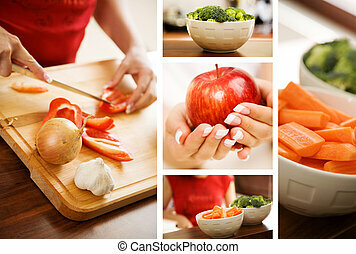 Collage of good healthy food choices: fruit and vegetables at home on wood kitchen table.